I cannot find the right person for my company; there is no good talent out there. In reality, nearly all these companies are making one (or more) of twelve stupid hiring mistakes that all but guarantee they will not find the “A-Level” managers and executives that they need. By most measures, 70% of all managerial jobs are filled by networking. If you are not out and about (at least one time a month) networking and meeting people in your geographic area and industry, then you are relying on others to find the right people. Networking broadens your perspective, enabling you to see the talent that is out there. You will also get to know more people who can refer you to other good talent. He who frames the decision makes the decision. Of course, it will take time and effort to go through all the leads and resumes. But, who is truly qualified to separate the wheat from the chaff and find that next top-performer? You are!! But, you need to stay active and engaged in the hiring process! When using either your human resources team or recruiters, be sure to ask for more potential candidates (10 – 20) then they would traditionally give you. And ask them specifically for a wild card group of 3 – 4 candidates that may not meet all the criteria, but are absolutely the best of the bunch in terms of accomplishments and possible fit. For companies not named Apple or Google, that is insane! By staying in the closet you remain out of sight to nearly all potential candidates, especially those that are currently employed but looking for new opportunities. This increasingly large pool of potential candidates will never even know that there is an opportunity. Yes, some positions need to be kept confidential; but there are ways to make job opportunities visible while keeping the confidentiality. Only Looking at the First Resumes That Come In: By only looking at the first resumes that come in, you will all but guarantee that talented but passive job searchers (those already with a job) will miss out as will talented, but active, job searchers who are likely out networking (instead of being glued to the job boards). To find the best among that mile-high stack of resumes, require something different from the candidates. Some companies ask for a “triple tweet” cover letter that is limited to about 420 characters or 70 words. These can be digested in the magic 7 – 10 seconds that are needed to catch your attention. Other companies require a one page resume. Since most resumes are two pages (or more), this requires the candidates to do some work before applying. With such steps, the screening and reviews can be done quickly, and it winnows out many of the unqualified “lookey loos” who will not take the time to comply with your requests. Finally, do not narrow down your list of candidates too quickly. Select more candidates for a secondary screening stage to ensure that you do not select based only on a single piece of paper. Then, schedule 10 minute Skype interviews to hear and see potential candidates. A 10 minute video or Skype interview gives more information about the candidate than would an hour long phone screening. There is a tremendously talented pool of candidates that are not being looked at in the least. Either subtly or overtly, many companies are excluding all candidates that do not have jobs; they prefer to deal only with the currently employed. That is a big mistake! Especially at the mid to senior level, people find themselves without jobs for a variety of reasons, many of which have absolutely nothing to do with performance: poor cultural fit, incompatibility with a boss, company acquired, personal reasons, etc. Yes, there are lots of duds among the ranks of the unemployed. But, there are a lot of truly talented people among the unemployed who were unlucky to find themselves in a bad situation in a tough economy. Ignore them at your peril. For all those candidates that pass your first round of screening, give them an assignment. This should be a clear and reasonable request for a follow-up from the candidate to be completed and sent to you by the following Monday. The request should be practical and, if possible, related to the position. For executives, ask them to give you a 500 word strategic or marketing assessment of the business. For sales professionals, ask them to outline a brief 10 minute sales presentation that they could then give as part of the interview. It is eye-opening at this stage to see the number of candidates that will not complete the task. Equally, it is eye-opening to see how ill-thought out some candidates’ strategic assessments are and how poor (and dreary) some salespeople’s presentations can be. By sampling the product, you will see who really has business acumen, insight and new ideas. At the same time, you might also profit from a new perspective about your business!?! 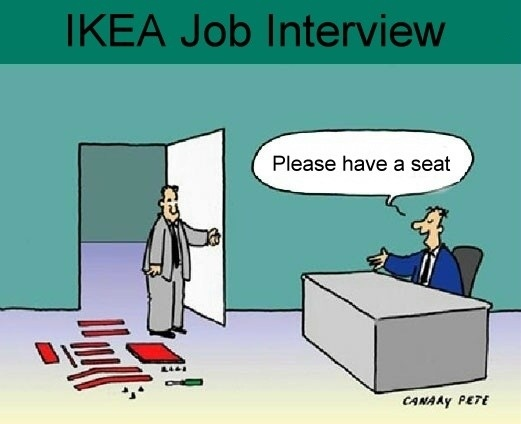 A vital step in any hiring process is the in-person interview. Any candidate worth his or her salt will have been trained in effective interviewing techniques. This means that they will answer any question using P-A-R (problem – action – result). This will, of course, lead to the interviewee sounding like a hero who happens to be the perfect cultural fit for your company. Don’t accept their PAR’s at face value. Drill down and be relentless asking how they did something and asking for further clarification or details. The true stars who really did what they said will come across strongly under this line of questioning. The charlatans who really did not do what they said (or who wildly inflated their stories) will wilt under the pressure. Despite everything, you may have hired the wrong person for the job and for your company. Often, you can only truly measure the individual once the person has started working. So, have a probationary / evaluation period of 30, 60, or 90 days to ensure that you have right person. Many companies have gone so far as to not bring that person onto their company insurance or give them other benefits until the probationary period is complete. Avoid these 12 mistakes in ’12 and ensure that you find the best new manager or executive out there. Happy hiring!!! This entry was posted in Leadership, Team / People and tagged Business Leadership, Hiring, Human Resources, Management. Bookmark the permalink.